PAYE WORKERS COULD lose out on some of the cash benefit of the tax cuts announced in the October Budget because of changes to the flat rate expense claim regime. Yesterday Chartered Accountants Ireland raised concerns about the changes which will impact on many employees in the services and health sectors. Under the current system they receive an automatic tax deduction to reflect costs that were exclusively and necessarily incurred in the performance of their job. “Arising from the review, there may be an adjustment to the quantum of particular flat rate expenses. The flat rate amount may be increased or decreased or it may be withdrawn by Revenue where the continuation is no longer justified,” a spokesperson told TheJournal.ie. 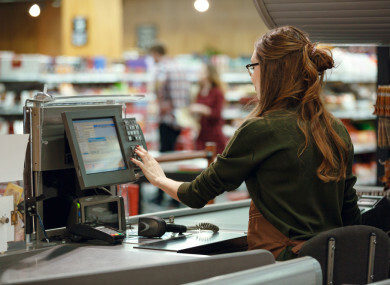 The flat rate expense for shop assistants was included in the current review and Revenue said it is satisfied that the “legislative basis underpinning tax relief for expenses does not justify its continuation”. For 2018 there were 75,822 recipients of this particular flat rate expense of €121, which gives rise to a total gross value of €9.1 million. The Revenue spokesperson said outside of the flat rate expenses regime, all employees retain their right to claim a deduction under current legislation for expenses necessarily incurred which are not reimbursed by the employer. Although workers will still be able to make expenses claims in the future, Chartered Accountants Ireland said these will “undoubtedly be subject to case-by-case examination”. It said it fears that many “simply will not bother with the administrative red tape required to recover deductions to which they were properly entitled”. “This Revenue project targets the tax affairs of those who support the country most, but have the least control over the amounts they have to pay,” Brian Keegan, Director of Public Policy and Taxation at Chartered Accountants Ireland said. Further changes are expected in 2019 as the review continues and Revenue said any further withdrawals will be communicated through representative bodies and on its website. Email “PAYE workers could lose out on benefit of tax cuts as Revenue reviews expense flat rate ”. Feedback on “PAYE workers could lose out on benefit of tax cuts as Revenue reviews expense flat rate ”.